The Independent Alliance's members of Cabinet are meeting this evening to discuss the fallout from the Maire Whelan "cronyism" affair. It's understood ministers Shane Ross and Finian McGrath are to release a statement later which will condemn Ms Whelan's appointment to the Court of Criminal Appeal. The statement is expected to describe the process as "flawed". However, sources told Independent.ie that the alliance will not call on Ms Whelan to step aside from the role. The statement will state that Ms Whelan, the former Attorney General, is eminently qualified for the post. But its criticism of the process will place further pressure on Taoiseach Leo Varadkar as Fianna Fáil warned that the appointment may be a breach of the confidence and supply arrangement. In a statement released this evening the Taoiseach said Ms Whelan has an "outstanding legal mind" and she’s highly qualified to serve on the Court of Appeal. "The position of Attorney General is one of a handful which is mentioned in the Constitution. It affords Maire Whelan unique experience in terms of matters of the law. I am very pleased that nobody appears to be questioning her competence or her quality." He said the issue which is attracting comment is "solely a matter of procedure". "I am satisfied that the correct procedures were followed. Under Article 13.2 of the Constitution the Government and only the Government can appoint Judges. The Tánaiste recommended Maire Whelan to Cabinet as the stand-out person for the vacancy. "I am committed to fully respecting the Confidence & Supply Agreement between Fianna Fáil and Fine Gael. I read the Agreement again this morning and it does not require the Government to run public appointments by Fianna Fáil, nor could it." He said he was not at liberty discuss what transpired at Cabinet meetings, nor can any other Minister. 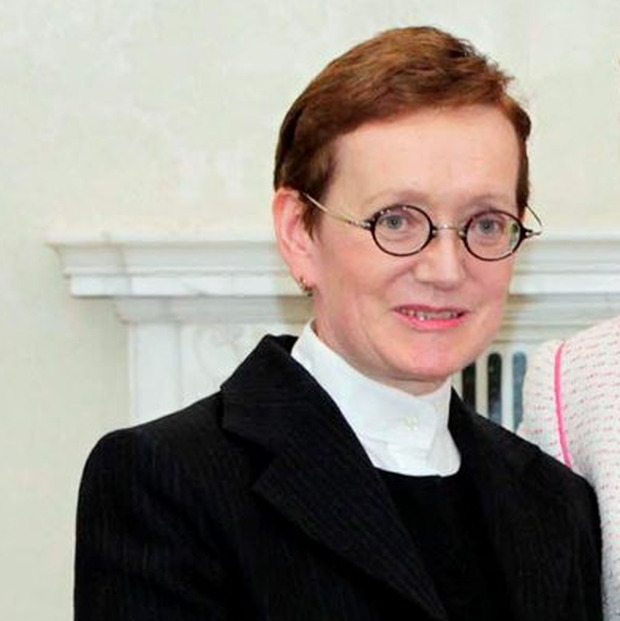 A row has erupted over the government's nomination of former Attorney General Máire Whelan to become a judge on the Court of Appeal. The decision was made at the last Cabinet meeting chaired by then-Taoiseach Enda Kenny last Tuesday. A vacancy on the State's second highest court arose in March when Mr Justice Garrett Sheehan retired. Ms Whelan's nomination did not come about as a result of a recommendation by the Judicial Appointments Advisory Board (JAAB) which is the current routine procedure. According to this morning's Irish Examiner, Ms Whelan stayed in the room as ministers discussed her appointment to the Court of Appeal. Will the current routine procedure change? Independent Alliance minister Shane Ross has been pushing for legislation to replace the JAAB with a new agency to recommend judicial appointments which would have a majority of non-legal professionals as members. It would also recommend less candidates for each vacancy, limiting the choices available to the government and reducing the potential for political patronage. The judicial appointments reform legislation is to go before the Dáil imminently, but in advance of that Mr Ross has been allowing vacancies on the bench to be filled so as not to impede the work of the courts. Mr Ross allowed the nomination of Ms Whelan on Tuesday. What did Shane Ross say? Initially his spokeswoman said on the day: "He did point out at Cabinet that he didn't like the process, he went along with it." Ms Whelan - who has links to the Labour Party - was appointed as Attorney General by the Fine Gael-Labour government. She developed a good working relationship with Mr Kenny. Her nomination as a judge meant there was a vacancy in the Attorney General position. New Taoiseach Leo Varadkar appointed Fine Gael member Seamus Wolfe to that role on Wednesday. The proposal to appoint Ms Whelan to the Court of Appeal was brought to Cabinet on Tuesday. The Department of Justice confirmed that the JAAB did not recommend anyone for the vacant post at the Cort of Appeal but insisted Ms Whelan was nominated in accordance with the Constitution and said that she is qualified for the job. What has this all to do with Stepaside Garda station? It was announced after the same Cabinet meeting that Stepaside Garda Station would reopen. Speaking in the Dáil on Wedneday Fianna Fáil leader Micheál Martin raised suspicion of a link between the appointment of Ms Whelan and the reopening of Stepaside Garda Station, which Mr Ross has been campaigning for. He said that Mr Ross has been insisting on removing politics from political appointments, but had now agreed to "the most directly political appointment in nearly a quarter of a century." He said he expects Mr Varadkar to outline any discussions with Mr Ross on the matter and what he called the "highly unusual" decision to reopen Stepaside before the Garda Commissioner has finished a report on which six stations are to be re-opened. Mr Ross later insisted in the Dáil that there was no link between that issue and the nomination of Ms Whelan to the Court of Appeal. He said on Wednesday: "I learned first about Máire Whelan's proposed appointment yesterday morning. When I learned about it, there was no conversation about Stepaside Garda station. There has been no link of any sort between the two." What have other politicians said? Fianna Fáil leader Micheál Martin criticised Ms Whelan's appointment in the Dáil arguing that it was "directly political". He said: "It directly bypassed established procedures and the excuse that there were no qualified applicants is clearly false given that the last application process closed nearly six months ago and there was no public advertisement of this vacancy." Today it has been reported by the Irish Times that Independent Minister Denis Naughten said the proposal to appoint Ms Whelan "came as a surprise to me and to pretty much all the Cabinet". He told Shannonside Radio that the issue will be discussed by government next week. Fianna Fáil TD Jim O'Callaghan told RTÉ's Today with Sean O'Rourke today that he believes the appointment could represent a breach of the terms of the party's 'Confidence and Supply' agreement with Fine Gael under which there are supposed to be "no surprises". He said he wasn't suggesting that there will be a general election over the issue and that there needs to be "cool heads" but that the issue is a threat to the government. Can the decision be reversed? The appointment of Ms Whelan to the Court of Appeal is not final until President Michael D Higgins signs off on it. Meanwhile, it's a headache carried over from Enda Kenny's last day as Taoiseach, that his successor Leo Varadkar could do without.